Evolve Your Listening Experience with Murfie! Imagine a time before the invention of the CD burner, back when tapes were still more popular than CDs because they were more durable and our only means of copying and cataloging music. I remember fearing the inevitable destruction of my CDs, a consequence made real by overplaying them or neglecting to put them back into their cases afterwards. I certainly didn’t want to pay for the albums again (though that would have been the only option since there was no internet), so I often transferred them from CD to tape. There were moments when my CDs even fell by the wayside and all I had were tapes of albums I had recorded or mixes of the lot. 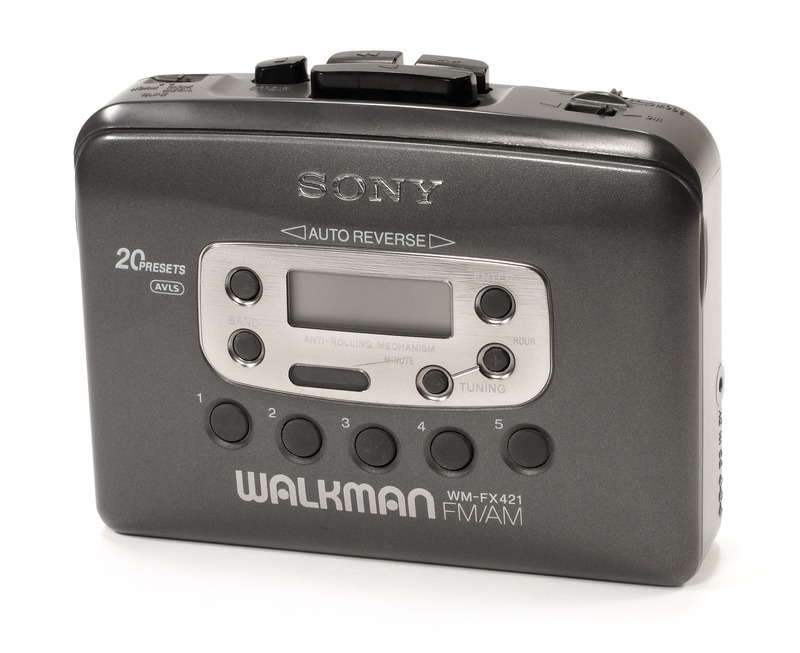 After all, cassette Walkmans were still more efficient than CD Walkmans back then because CD skip protection was still in its infancy, and I liked to jog while listening to music so the choice was obvious. 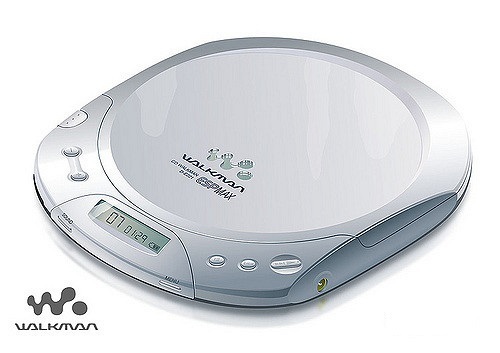 When CD burners entered the scene, CD Walkman technology had improved enough that you could pretty much play a CD without skips so long as you didn’t jostle the player too much. People were already ripping CDs to their computers and storing them on hard drives at this time, but it wasn’t until awhile later that actual burning capability became a household item. Consequently, we might have just skipped burning CDs altogether and just moved immediately to file sharing and streaming if it wasn’t for the lack of technology and our learned behavior of collecting physical media. Binders full of plain discs with hand-scribbled titles gradually replaced the authentic, colorful and provocative ones. The originals were either sold or sat on shelves or in boxes in storage. Eventually, all I had to look forward to was what was on the CD when I played it. I could no longer hear with my eyes. It’s no wonder many of us lost interest in physical media. Today, with the advent of streaming services, ownership of music has declined. We no longer flip through tiny booklets filled with pictures, art, lyrics and production credits while we enjoy our favorite albums. Certainly, we might look at the CDs front cover as a 2″ x 2″ thumbnail through the glare of our cellphone screen, but for the most part the haptic aesthetic of albums is gone. Additionally, we pay for monthly subscriptions to listen to our favorite tunes, but in the end we’ve sacrificed ownership. If we lose our account or stop paying, our collection disappears. Not to mention, the music we can listen to is limited because subscription services do not have everything. The collections are incomplete. Contrary to the latest trend, physical media still exists and will continue to exist in many forms because there is a human need to experience the world with all of our senses. 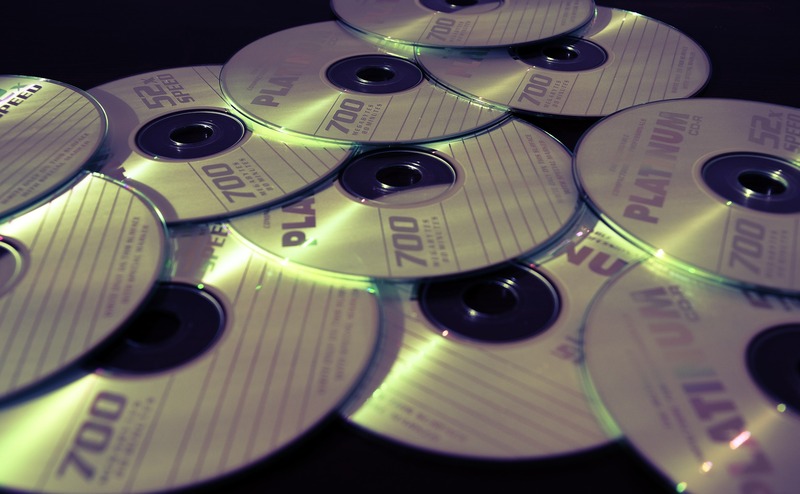 An artist performing a show personalizes it by offering physical media to their fans at a merch booth. A rare box set sells because it was uniquely crafted in remembrance of a great musician. A new generation of audiophiles realizes we got it right the first time with vinyl records and begins rummaging local thrift shops for sonic delights. Not to mention, a vast majority of consumers’ shelves, attics, basements and storage continue to brim with cassettes, CDs and vinyl records. Subsequently, a solution that ensures consumers retain the value and ownership rights of the albums they’ve paid for must be brought into being. We need to preserve the option of the aesthetic experience of an album if a listener so chooses and alternatively provide an efficient and safe way in which to catalog and store it. Finally, we need to ensure that when music is streamed, it can be done so at the highest bit rate possible per listening device for the ultimate listening experience. So what is the solution you might ask? Murfie. Murfie will take your collection of vinyl, cassettes and CDs, digitize them and make them available for streaming in a variety of popular formats, such as FLAC and mp3, complete with metadata for your preferred devices. When you send us your collection, it is ripped to your personal account for you and you alone. We believe that ownership matters, and so we provide you with exclusive access to your albums as well as give you the option of selling or trading your albums in our marketplace. The marketplace is also useful for filling the holes in your collection. In addition, we provide you the option of storing your albums indefinitely in our secure warehouse to free you of the burden of storing them yourself. What makes Murfie unique from other streaming services is that if at any time you want to cancel your account or get your music back, you are able to do so. We don’t want you to lose the music you have spent countless hours collecting. We also don’t want you to pay for albums you have already bought over and over. We encourage you to enjoy your physical media the way it was intended, but we understand that advances in technology have led us to more simplistic ways of consuming media. And that is why we are here, to help you evolve and make the decision of what to do with your physical media effortless and pain free. Send us your collection today, click here for an instant quote. If you have any questions feel free to contact us or check our FAQ. Posted on May 5, 2017 June 13, 2017 Author Jason KempenCategories Green + Declutter, Ownership MattersTags audiophiles, burning, cassette, CD, cd burner, FLAC, FLAC format, FLAC music, haptic, MP3, music, ripping, skip protection, streaming, tape, technology, walkmanLeave a comment on Evolve Your Listening Experience with Murfie! Grooveshark is the latest of controversial music services to shut down. They were amidst legal battles over licensing deals with rights holders at the time. The people at Grooveshark also encouraged music fans to use a licensed service. Fans have voiced opinions online, including Reddit, expressing disappointment at the loss of their carefully curated playlists. “Welp, there goes 5 years worth of playlists,” said one user. It’s important to know you’re gambling with time, energy, and often money when you use a service that’s not tied to ownership. Streaming services in particular can and regularly do shut down and disappear, leaving you with nothing but fond memories. The alternative is to invest time, energy, and money into collecting music that you truly own, where you won’t need to worry about it going away in an instant. It will forever be yours. You also don’t need to decide between owning physical music (CDs and vinyl) and streaming music—what we’ve been doing at Murfie for years has proved that’s a false choice. The streams and downloads you receive from us are tied to CDs and vinyl that belong to you, and you alone—remaining unaffected by any terms of our service. It’s no secret that Terms and Conditions are subject to change. When you buy licensed content online—whether it’s music, movies, or some other media—your access to that content is always at risk. Take this for example: Online gamers were able to buy full songs within a virtual social networking game created by IMVU, Inc. Later on, all the songs were truncated to 20-second clips, resulting in a lawsuit filed by Peter MacKinnon, Jr., a gamer who was upset that all the songs he paid money for were shortened. This instance shows how the uncertain future of licensed content can make your initial investment wasted if the terms change, or don’t protect you. IMVU argued that since MacKinnon accepted the terms, he has no property rights to claim. And that’s just it—MacKinnon accepted the terms, so it’s perfectly legal for the gaming company to do whatever they want with the songs he bought if that’s what the terms say. That doesn’t change the fact that, well… he got screwed, and everyone can see that! We all read and understand the fine print all the time, right? As a music fan, it’s a problem when your rights are dictated by often complex and flexible terms and not good old-fashioned property rights. The terms of buying licensed content are making this a “buyer beware” world—which seems worse than a world where what you buy is legally yours in a way you understand, forever and unchanged, across vendors and services. If you want to buy music and have it always be yours, it’s great to go with ownable formats like CDs and vinyl. A lot of people dig digital music, and so do we—which is we built our service to provide you digital download and streaming access to a physical collection you own. The CDs you buy on Murfie and send to Murfie will always remain yours—so no fear here if our terms change. Ownership has got you covered. Posted on December 10, 2014 Author Kayla LiederbachCategories Ownership MattersTags buyer beware, CDs, downloading, flexible terms, lawsuit, licensed content, media ownership, music ownership, physical music formats, streaming, terms and conditions, vinylLeave a comment on Ownership Matters: Buyer Beware!